Even on the free "Basic" membership level you have your own Nikonians Gallery gaining from the improved upload, though the improvements are really felt if you are a Gold or Platinum member: On these levels you can upload NEF, DNG and TIFF files and share these as well. Your gallery creates JPG representations of your raw files on-the-fly, for sharing and for collaborating with others (ranking/rating/chatting & download). This week we have the last episode out of Russ' great premium series on photographing Iceland, with good tips and lots of inspiring photographs, there is a promotion on Gold membership valid thru the week and Chris has interviewed pro street photographers, see below. 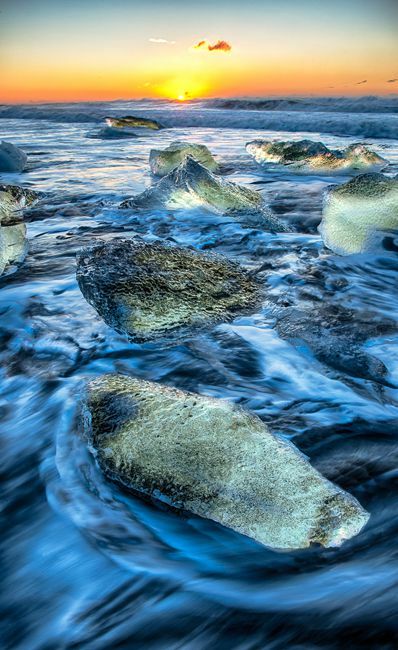 "Jokusarlon Ice Beach 2" by Russell Whittemore (rosewood_ltd) from his latest article. You have your own portfolio, you can post NEF and JPG images for critique and post-processing help, you have NEF, DNG and TIFF upload in your Nikonians Gallery, you get your @nikonians.org email address and the Nikonians photographers ID, to mention the main items. What to get: A Nikon D850 or Z7?